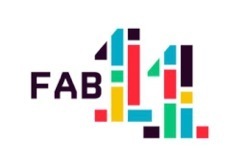 Fab11 – the 11th Annual Meeting of the global Fab Lab community – will return to the Boston area from August 3 to 9, 2015. The meeting comprises the annual conference of the international Fab Lab Network, a symposium Making : Impact that is open to the public, and a 2-day public Fab Festival throughout Boston, Cambridge and Somerville. International Fab Lab Network members from more than 450 labs in over 60 countries are gathering in Cambridge at MIT, the birthplace of the Fab Lab concept. Fab11 will explore how the ability to “Make (almost) Anything” utilizing Digital Fabrication is impacting individuals, communities, businesses and collaborative research and projects around the world. At Fab11, members will share technical expertise, best practices, and the powerful stories behind Professor Neil Gershenfeld’s statement “The power of Digital Fabrication is social, not technical”. Drawing from over a decade of field experience, Fabbers are creating an interactive Fab11 program that includes hands-on fabrication workshops, talks, planning meetings, project demonstrations, Fab Academy graduation, Global Fab Awards, a Fab Youth track, as well as informal opportunities to connect, fabricate and celebrate. The Fab Symposium Making : Impact will take place August 6th at Boston’s famed Symphony Hall. It is a one-day, public event that explores the principles, applications and implications of digital fabrication. This year the focus will be on the incredible makers who have emerged from fab labs and digital fabrication education over the last 12+ years, who have made significant social, economic and community impact in the world and who are inventing the future. Over the weekend of August 8 and 9 the cities of Boston, Cambridge and Somerville will come alive with a free public Fab Festival. The main event will be held at the Reggie Lewis Center in Boston, while a myriad of distributed events, produced in partnership with City Awake, will happen throughout the region. The weekend includes exhibitions, demonstrations, cool performances, hands-on activities for the whole family, and talks and panels featuring great makers from the Boston area and beyond. For complete details, registration for the Symposium, and opportunities to volunteer, participate in the Fab Festival or serve as a sponsor, go to www.fab11.org.